Diversity has been a bit of a buzzword for comics...and the DC Universe in particular...for quite a while now, and rightfully so. The universe's roots are in a time when no one really questioned that the most important characters were a bunch of white folks, even if those characters were aliens, Amazons, Atlanteans, etc. Times have thankfully changed, and it's worth some effort to bring a more multicultural flair to the world. 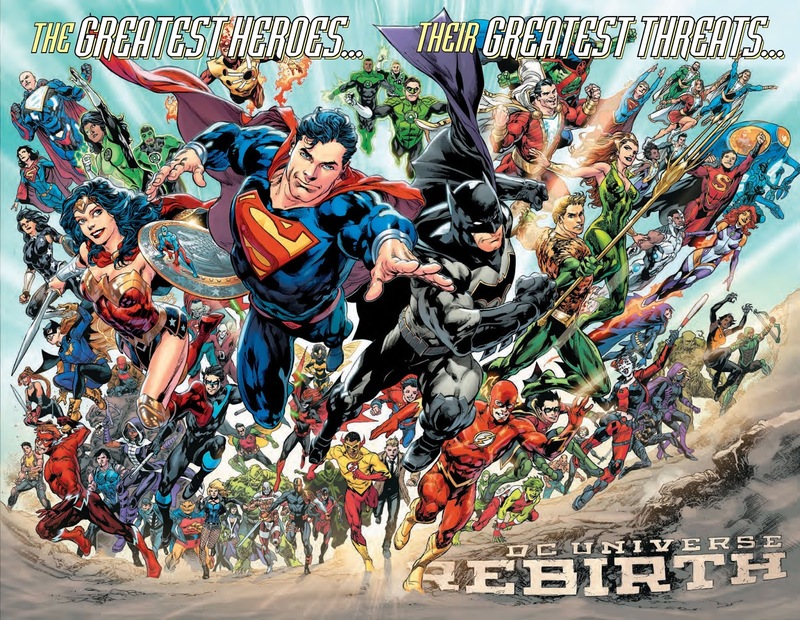 With DC Rebirth, the company seems to be once again shaking things up to define the "baseline" heroes of the universe for the next generation of comic readers. You wanna diversify, now's the time to do it. And I can't help but feel like DC just keeps coming up a little bit short on doing it in an effective way. Now, I've thought for a while now that the best way to go about this...what I'm going to call "Plan A"...would be to just take one or more established characters and make them non-white. No one seemed to question it when a half-Asian guy played Superman. No one seems concerned about the cinematic Barry Allen being a clearly non-WASPy guy (apparently Jewish, although his ethnicity inspires discussion). But something tells me that if Bruce Wayne were African American, there'd be articles galore about the "new" black Batman. I've resigned myself to the idea that Plan A probably isn't going to happen in any significant way, at least not anytime soon, and not with the biggest guns of the DCU. We've seen little glimpses. Iris West can be black. So can Aqualad. The Earth-2 Green Lantern can be gay (yep, I'm just lumping sexuality in with ethnicity). Guess who's a lesbian...Batwoman...y'know, the one who's like #10 on the list of Bat-family characters you care about. I'll come back to Plan A in a minute. There are other ways of going about it, of course. You can make new characters that fit into different demographics. This is tough, though, and takes time to implement. I love Jaime Reyes, but I'm not going to pretend that the newest Blue Beetle is nearly as meaningful to the DCU as a traditional JLA member. I like that the new Green Lanterns comic features two(!) minority Corps members...and that they'll apparently rep the Corps in the Justice League...but they're quite explicitly new to the game, and not as respected as...oh, let's say Hal Jordan. What's weird is that the GL route is probably the best option DC could have in taking the third route to diversifying...the route where you promote existing minority characters to the big time. John Stewart is an established veteran in the DCU and probably the Green Lantern to a generation who grew up on Justice League cartoons. 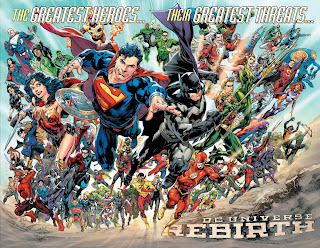 And in Rebirth...he's not very prominent. Not so far at least. (Not in what I've seen.) Seems like a missed opportunity. 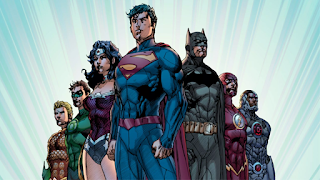 There's currently a gambit in play to make Cyborg one of the JL's "Big Seven." Over time...some years to sink in, some big screen appearances...this may work. And he's a cool character with a good history, but so much of that history is tied to being a (Teen) Titan, and at the moment, he might be the only core League member who can't hold down his own book. So close once again...just not quite there. This is by no means a comprehensive analysis of DC's approach to diversity and probably comes across more like a rant. I applaud DC for the swings they're taking; it just seems like they're not quite connecting. Am I missing something? Way off on my approach? Worried about something that has less meaning than I think? I'd love to know what some of you other comic fans think.